US President Barack Obama has told Republicans to halt a "political circus" and immediately pass a $447 billion jobs plan to jolt the stalled economy and cheer a disillusioned nation. "These are difficult years for our country. But we are Americans. We are tougher than the times that we live in, and we are bigger than our politics have been," Obama said late Thursday in a speech to a polarized Congress. "So let's meet the moment," he said, seeking to restore public trust in his leadership with a plan that mixes tax cuts and investments and takes aim at 9.1 percent unemployment which is threatening his 2012 reelection bid. 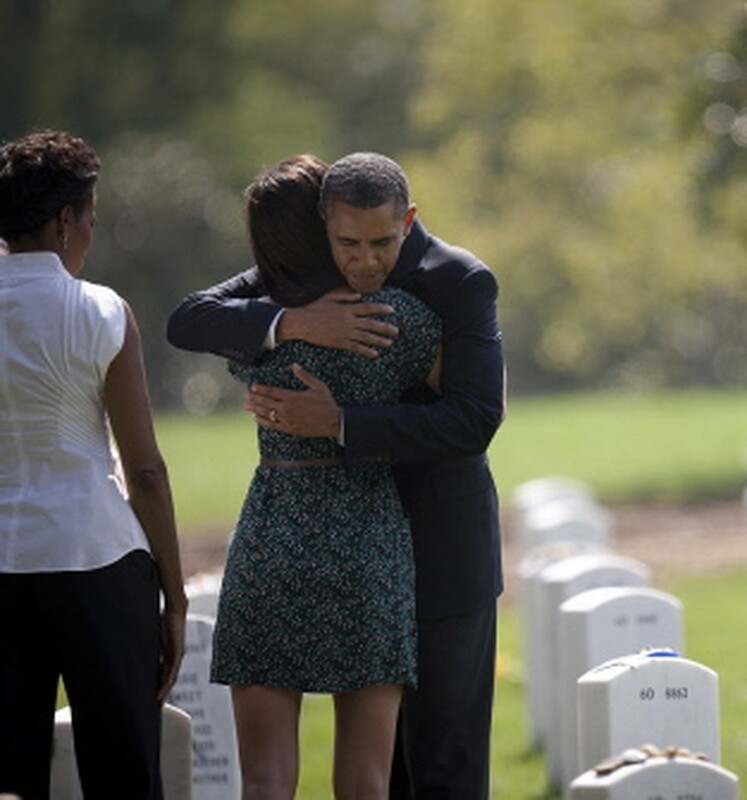 US President Barack Obama and First Lady Michelle Obama (L) visit with a family at a gravesite in section 60 at Arlington National Cemetery on September 10, 2011. A combative Obama, standing before a large US flag in the House of Representatives, said his American Jobs Act would get people back to work and put more money into the pockets of those who had jobs. "It will provide a jolt to an economy that has stalled... You should pass this jobs plan right away. "I intend to take that message to every corner of this country." The bitterly divided nature of Washington was reflected as Obama belted out his speech. Democrats cheered plans for investment, Republicans stonily sat through his calls for higher taxes on the wealthy. Prospects for Obama's plan are uncertain given blanket Republican opposition to new spending not balanced by immediate budget cuts and a deeply polarized political climate already agitated by the coming election. Mitt Romney, fighting fellow front-runner Rick Perry to be the Republican pick to take on the president next year, issued a quick campaign video, arguing America had lost nearly 2.5 million jobs since Obama took office. "Mr President, you are 960 days late," it said. But Republican House speaker John Boehner, who may dictate the fate of Obama's plan, offered a response more conciliatory in tone from the fiery rhetoric of a debt showdown in July. Senator Marco Rubio, a rising star in Republican politics, was also polite, but warned "a lot of it sounds like things we’ve already tried, such as more government spending." Outside the United States, the plan was welcomed by International Monetary Fund chief Christine Lagarde, who said Obama's proposals would "focus on supporting growth and job creation in the short term." Obama says his plan, worth half the amount of his 2009 stimulus program opposed by Republicans, will be fully paid for by spending cuts in years to come when the economic crisis has past. He has already warned that if the plan is blocked he will hold Republicans to account at the polls and accuse them of putting a desire to eject him from the White House above a patriotic duty to revive the economy. The centerpiece of the plan is a deeper than expected $240 billion payroll tax cut for employers and employees meant to keep money in the pockets of those most in need, spur demand and encourage firms to hire new workers. Obama hit back at Republican critics who complain about White House proposals to raise taxes on the richest Americans and close corporate tax loopholes. "This isn't political grandstanding. This isn't class warfare. This is simple math. "I'm pretty sure I know what most Americans would choose. It's not even close and it's time for us to do what’s right for our future." The plan's $447 billion price tag contains $175 billion to cut employee payroll taxes in half, to 3.1 percent in 2012. The taxes fund the Social Security retirement and Medicare health plan for senior citizens, and officials said the cuts were a way to get money directly into the pockets of those who need it most and those most likely to spend it. One administration official said that using payroll taxes to spur demand was an "elegant" way to ensure that people "have more money in your check, more money in your pocket." Obama also proposed a $50 billion program to invest in highways, railroad and airport modernizations, which officials said would put hundreds of thousands of construction workers back to work. He called on Congress to provide $10 billion to capitalize a national infrastructure bank to leverage private and public capital to invest in a broad range of projects. He also proposed a $35 billion program to prevent layoffs of 280,000 teachers and to keep police and firefighters on the job, in a bid to stem local and state government layoffs that are inflating unemployment figures. -- A $30 billion project to modernize 35,000 public schools. -- A $49 billion plan to reform an extend insurance payments for the long-term unemployed. 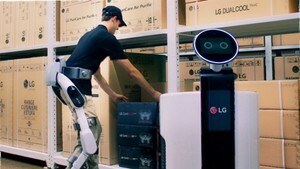 Analysts and industry groups gave a mixed response to the plan. US Chamber of Commerce CEO Thomas Donohue said Obama's "ideas appear to fall short" and called for the president to "unshackle" businesses by cutting regulations. Lawrence Mishel, of the non-partisan Economic Policy Institute, said however that the plan was a "serious, solid effort" that could save or create several million jobs.